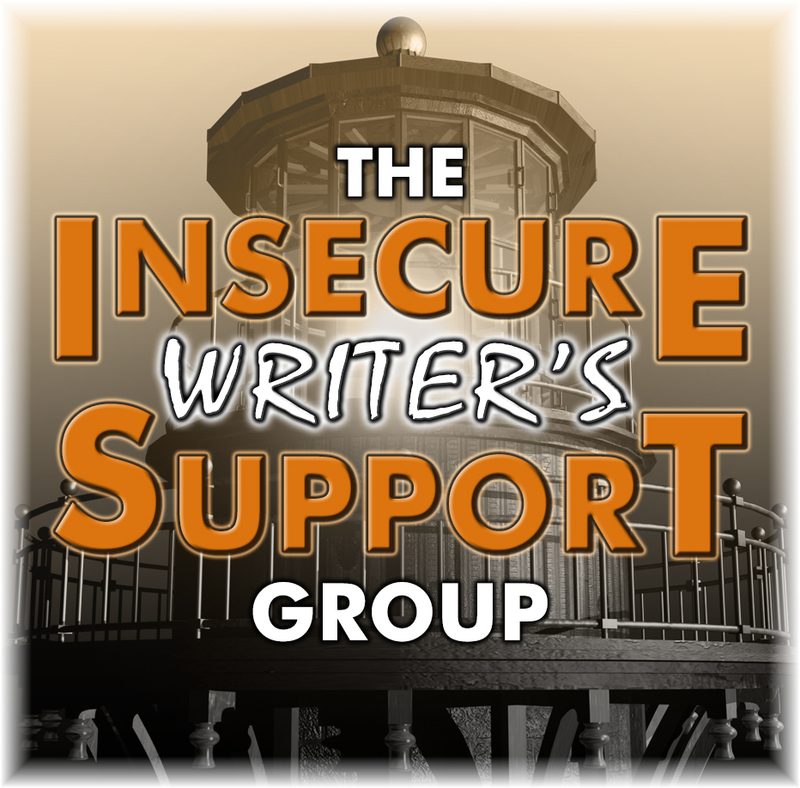 The latest IWSG anthology looks like another winner! Today, I've got Elizabeth Mueller, one of the authors, here to answer some questions! Have you written YA romance before this short story? Yes, I have. They are my favorite kinds of romances to write. Darkspell is my first published out there. 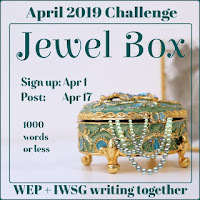 What was it about the prompt that intrigued you? and masquerades. Imagine what all three can do? Whoa! What was your favourite part of writing this short story? I loved creating the mysticism behind it, the implied history of their romantic intrigue. As a writer, do you tend to start with characters, setting, or plot when you first get an idea? Oh, how do I answer that? It’s always a combination of things that come at me all at once I can’t possibly tell one from the other. Sometimes it’s a concept: like a character bound hand and foot by the queen’s body guards as he glares up at her (both are love interests). The story then unfolds as I imagine how he got himself into that mess and why. So fun! Introduce us to the main character in your story. Meet Ivy. Independent, smart, honorable. Curious. It’s what gets her into the mess to begin with but if she hadn’t have listened to her instincts, all would have been lost! Falling in love, saving the day, and a masque—oh my! The clock strikes the thirteenth hour and Ivy is sucked into a masquerade ball of whirling dancers where the Cog Prince has summoned her. A mysterious darkness seeks their destruction and she alone holds the key. Will Ivy save them in time? Award-winning author Elizabeth Mueller lives in Texas with her husband, five lively children, five indoor kitties, a few outdoor kitties, and seventeen chickens. While she enjoys homeschooling her kidlets, she thrives as a full-time writer of any genre that captures her heart. She loves to hear from her readers! Today I'm taking part in the blog tour for Masquerade: Oddly Suited, a young-adult romance anthology from The Insecure Writer's Support Group which is coming out on 30th April 2019! What if life's price of servanthood could be changed? So excited for this book to come out! Can't wait to see if Ivy saves the day! Thanks for the visit, Elizabeth! How about you? Do you start with characters, setting, or plot first? Or do they all come in a blend the way they do for Elizabeth? Wow - what a thought-provoking question! I think (at this moment anyway!) that I would use my wish on the final chapter. Tying up loose ends can be such a challenge! In my romance stories, I tend to be a little cheesy when I write the first draft of the last chapter. In my dementia project - which is a combo of memoir/narrative non-fiction and self-help advice for caregivers of those with dementia - tying up the entire book and ending with encouragement and hope is proving to be a little challenging as well. I think I'm almost there, though! How about you, where would you spend that wish? Please welcome Jane Godman to the blog today! We hear a lot in writing about the author’s “voice” and how important it is to ensure that it’s unique and engaging. I’ll admit it’s a concept with which I struggled in the early days of my career. Wasn’t writing an interesting story enough? What was it that made my voice different from anyone else’s? Gradually, I came to recognize the way I brought my own personality to the page when I wrote. In the same way that I can identify the voice of my favorite authors, I can now see what makes my own writing stand out. So what is voice? It’s the author's style, a distinctive quality that makes his or her writing unique, and which conveys the author's attitude, personality, and character to the reader. Tone, choice of words, content, and even punctuation make up the authorial voice. It is usually fairly consistent. With some very famous authors it is even possible to identify the author by reading an excerpt of his or her work. The following is from Charles Dickens’ famous story, A Christmas Carol. … Scrooge had as little of what is called fancy about him as any man in the city of London, even including—which is a bold word—the corporation, aldermen, and livery. Let it also be borne in mind that Scrooge had not bestowed one thought on Marley, since his last mention of his seven-years' dead partner that afternoon. And then let any man explain to me, if he can, how it happened that Scrooge, having his key in the lock of the door, saw in the knocker, without its undergoing any intermediate process of change—not a knocker, but Marley's face. Some of the features that immediately identify this as a piece of Dickens’ writing are: the humorous description, the “wordiness”, and the way he talks directly to the reader (as if the reader could respond). The writer’s main voice is the one that tells the story, but there are other voices that take a turn under the spotlight. They are, of course, the characters the author has created. Every person has their own way of putting together words, phrases, and ideas. These elements make up that person’s voice. Some people are witty or chatty, others are stilted or curt. For each of their characters, the author must find a believable voice. As well as being a master of the narrative voice, Dickens created memorable character voices, one of the most compelling of which was Uriah Heep from David Copperfield. "'When I was quite a young boy,' said Uriah, 'I got to know what umbleness did, and I took to it. I ate umble pie with an appetite. I stopped at the umble point of my learning, and says I, "Hard hard!" Heep is a nasty character who calls himself “’umble” (humble), but we get a sense from the way he talks that he is anything but. How do you develop your writer voice? When it comes to writing, don’t be afraid to let go and experiment. What have you got to lose? Happy writing! 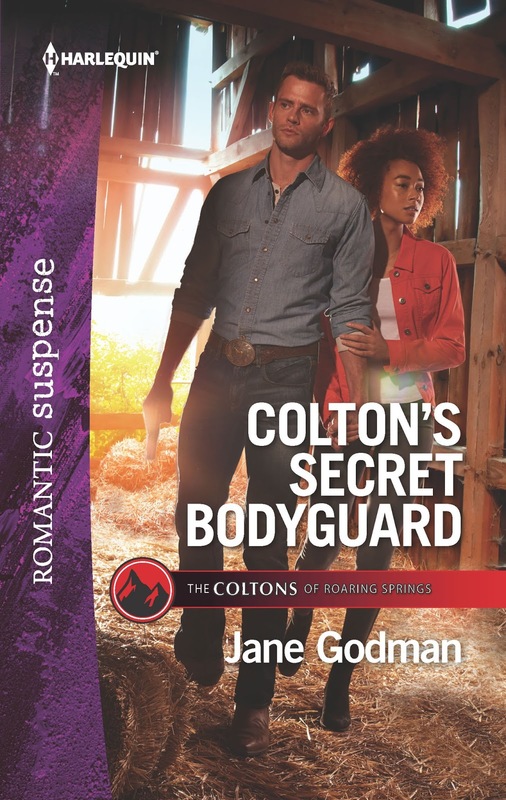 JANE GODMAN is a 2019 Romantic Novelists’ Award winner and 2018 Daphne du Maurier Award finalist. She writes thrillers for Harlequin Romantic Suspense/Mills and Boon Heroes and paranormal romance for Harlequin Nocturne/Mills and Boon Supernatural and St. Martin’s Press Romance. 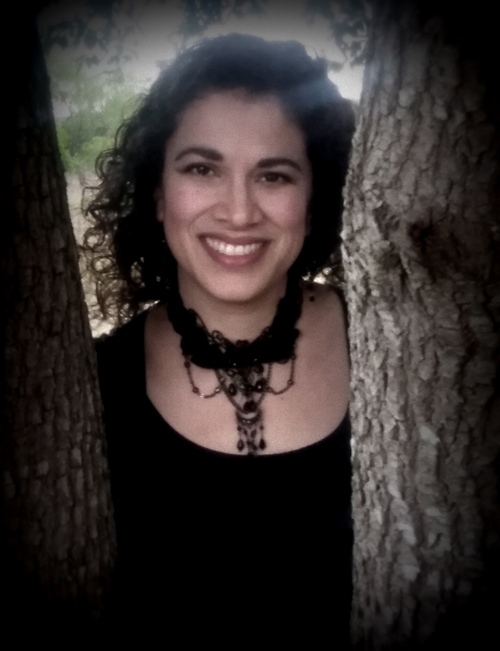 She also self publishes her historical and gothic stories. 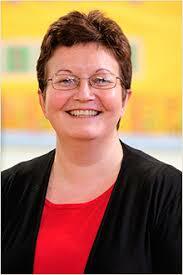 Jane was born in Scotland and has lived in Germany, Wales, Malta, South Africa, and England. She still gets the urge to travel, although these days she tends to head for a Spanish beach, or a European city that is steeped in history. When she isn’t reading or writing romance, Jane enjoys cooking, spending time with her family, and enjoying the antics of her dogs, Gravy and Vera. Thanks so much Jane! I really enjoyed Colton's Secret Bodyguard - great characters and a plot that kept me turning pages far into the night!! If my readers enjoy romance, suspense, and great characters, this is a fabulous read! How about you? 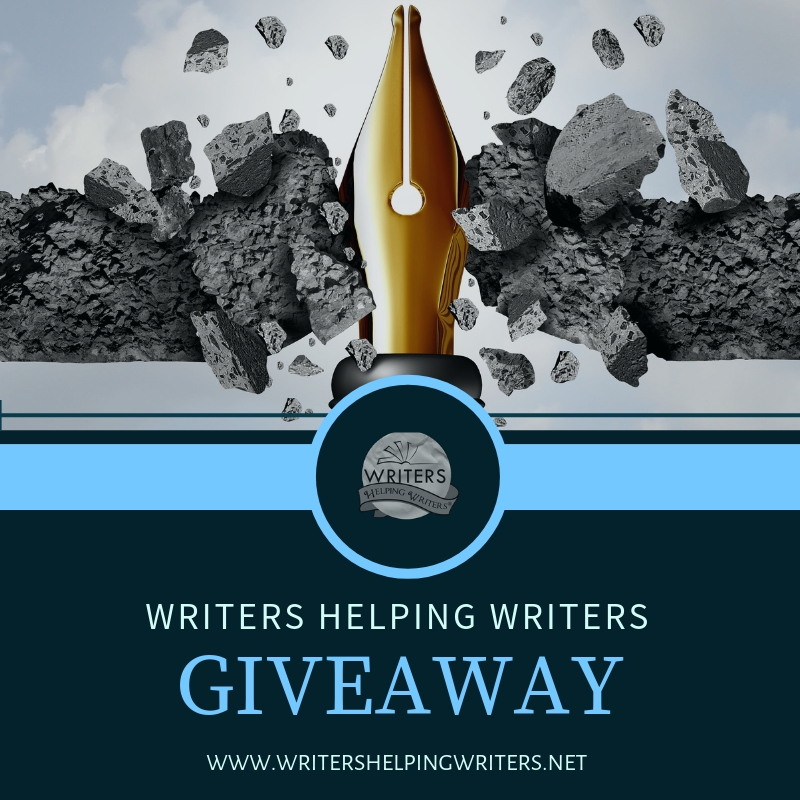 Have you developed your author's voice? Who are some of your favourite authors who have distinctive voices? I'm currently rereading the Lord Of The Rings trilogy and am loving Tolkein's voice all over again! Between the flu and snow and more snow and freezing rain and a broken water main, it's been a roller coaster couple of weeks. For a day or two, my head/eyes couldn't handle any screens. When my head cleared enough to read, I reached for one of my all-time favourite books. I've owned it for decades. The spine is broken from so many reads and it brings me comfort just holding the book. I have several comfort reads, but this time I pulled out Lord Of The Rings: Fellowship of the Ring. Reading it is like seeing a friend you've lost touch with for a few years, but as soon as you get together, it's perfect. The language is gorgeous, the characters complex, the story pulls me in again. What about you? Do you re-read your favourite books? What are some of your favourite comfort reads? Only 28 days to get my portfolio ready. So much to do! One week in and I’m excited but a bit overwhelmed. I’m having so much fun I need to force myself to eat and sleep. They want dozens of options to choose from. Ten days down and eighteen to go. Starting to feel some panic because there are so many ideas inside my head. The details need to be just right. Each drawing is better than the last. Each one shows more of what could be. Halfway! The drawings have more depth than anything I’ve ever done. I’m anticipating problems that might happen in the real world and finding solutions. I’ve never been so consumed. My skills are improving. The drawings are so real I can feel them surrounding me. Shadows and sun. Dark and light. So many contrasts. So many metaphors. It messes with my head sometimes. Have to get them out. Have to bring them to life. Things are lurking in the shadows. Things I didn’t put there. Things I don’t understand. The images keep coming. Intruding into my dreams until I don’t know if I’m awake or asleep. My blood seeps into the art, deepens the shadows, and enlivens those hidden within. Fear pours from my hands along with the blood. The drawings cover the floor and the walls. 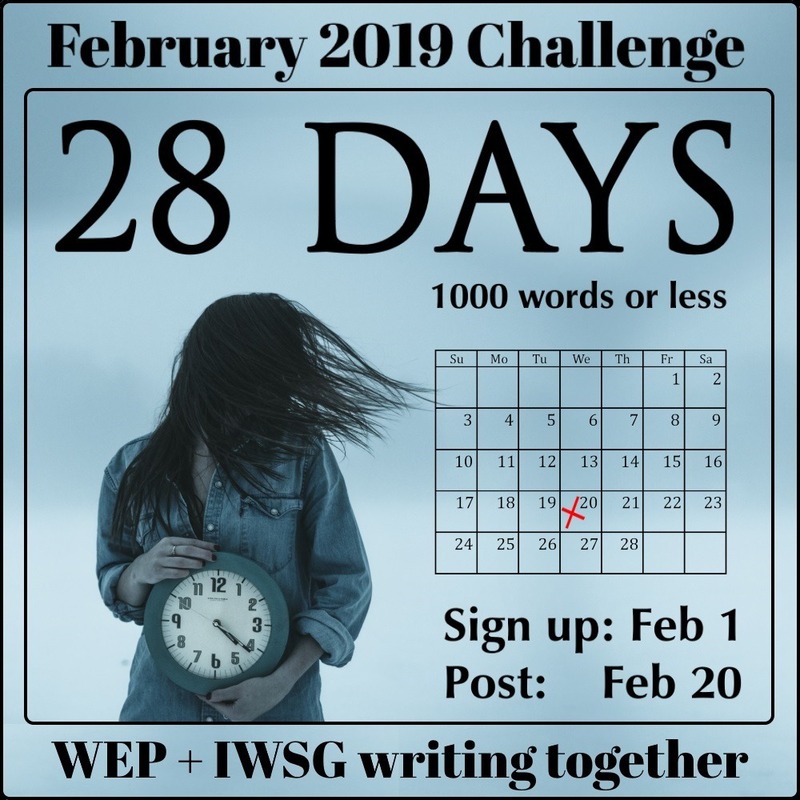 This story is part of the WEP challenge: 28 Days. I hope you check out the other entries - and add one of your own! 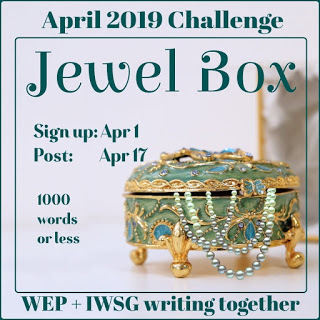 It's an excellent community and a fun way to try out new angles with your writing. This is actually the 2nd piece I wrote for the challenge. The first had so many similarities/echoes with the piece Toi Thomas wrote, I decided to put that one aside and take a new angle. How about you? 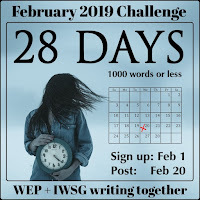 Do you enjoy flash fiction? 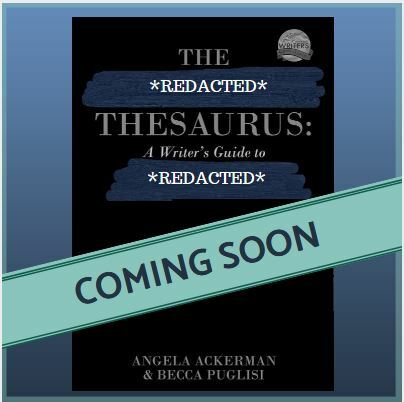 The Emotion Thesaurus is HERE! Hi guys! Today I'm helping authors Angela Ackerman and Becca Puglisi launch their new book, The Emotion Thesaurus (Second Edition)! You might know about The Emotion Thesaurus or even have it on your shelf. But chances are, you may not have known a second edition was in the works. Becca and Angela decided to keep it a surprise and only recently announced the book was releasing! 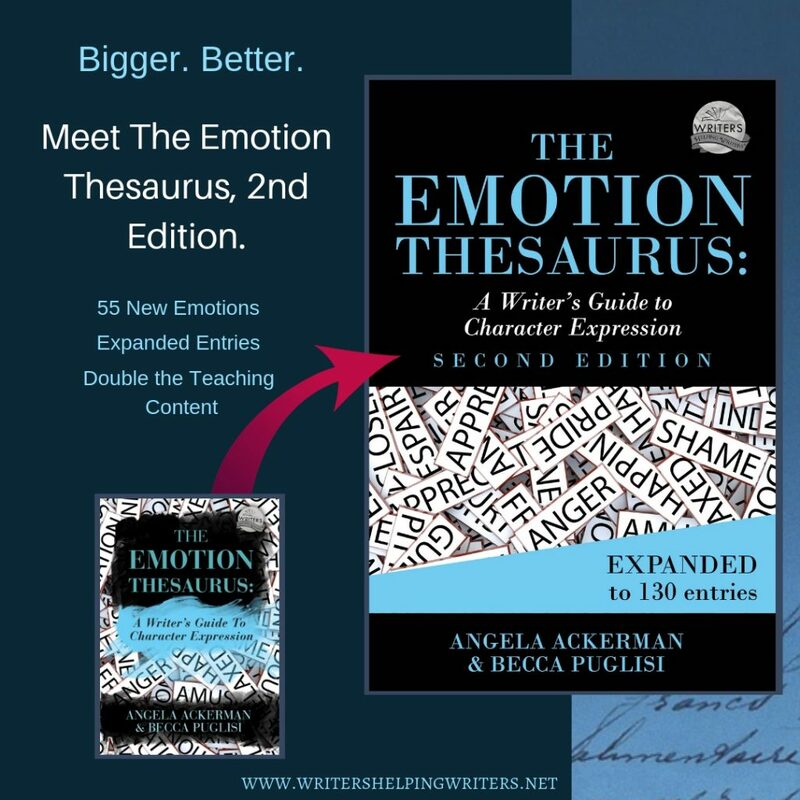 The Emotion Thesaurus is known for its powerful lists that help writers show (rather than tell) character emotion through body language, thoughts, visceral sensations, dialogue cues, and behavior. 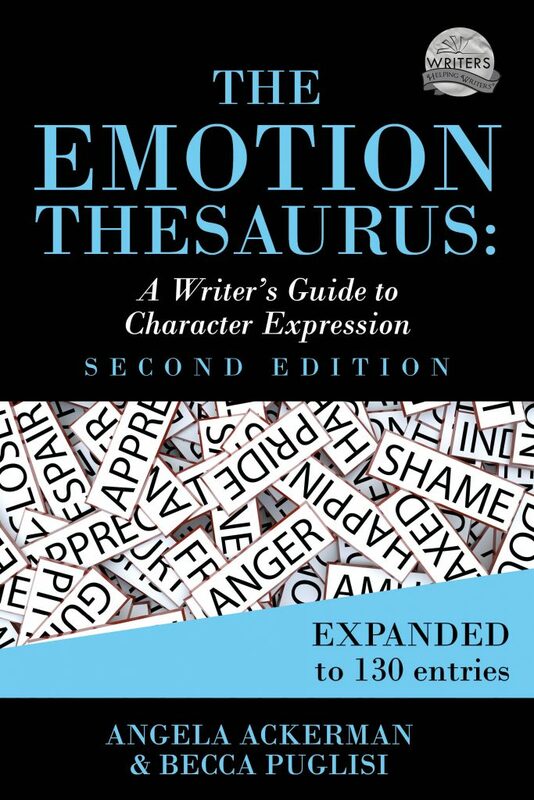 This second edition gives writers more of what they love: more emotions (55 more to be exact!) more teaching content, and more writing tips. Here are three of the new entries: Euphoria, Vindicated, and Schadenfreude. This book is almost twice the size of the original, so it's almost two books in one. Anyway, if you'd like to check into it, Goodreads has some reviews up, and you can find more information here. One More Thing...Want to Attend a FREE Writing Conference? Or a writing retreat? A workshop? 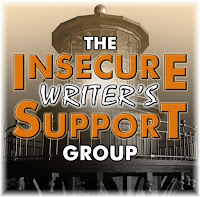 Or even have your yearly membership to a professional writer's organization suddenly paid for? OF COURSE YOU DO! Angela and Becca have a giveaway on right now to celebrate their release, and one lucky winner will get their choice of the above, up to a $500 US value. There are some conditions so check that out, but this is the giveaway of a lifetime, so hurry over to enter. And good luck! Music has always been a huge part of my life and I've recently returned to playing the piano (when we inherited a piano after the death of a family member). I hadn't played since I was a young teen and it took a while to get back into the groove. I'll never play without a few stumbles here and there, but it's bringing me lots of joy! I also doodle around with cartoons. Never was very good with realistic sketching, but I do enjoy cartooning. How about you? Any musicians, artists, crafters, and other creative types out there?